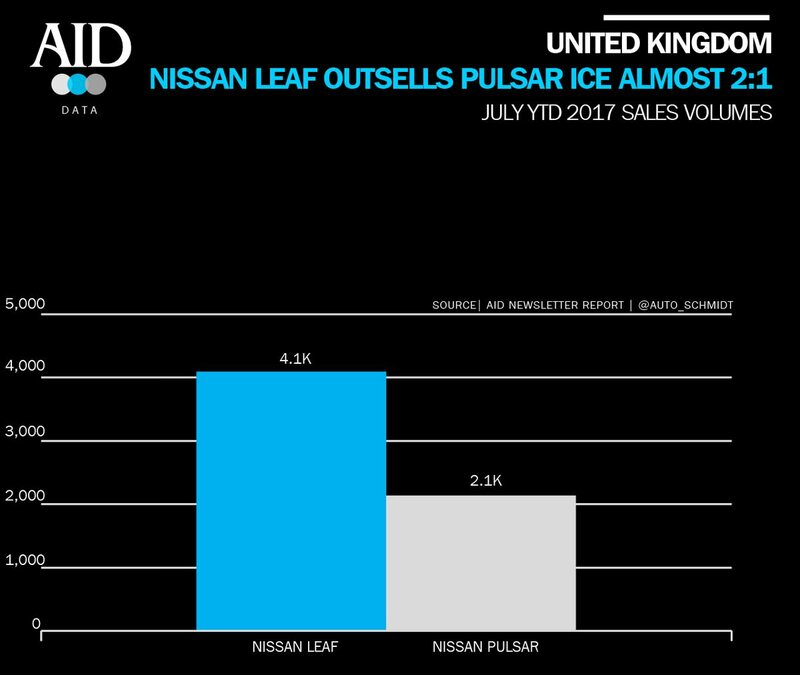 The Leaf has roughly sold 4,100 units in the first seven months of this year, which is nearly half of all EV sales in the UK. Those are some big numbers, especially as deliveries didn't begin until March. The Pulsar which is the closest ICE counterpart, only saw only half of these numbers, even though its nearly half of the price. I think this is a good indication of the direction the industry is heading in, at least in Europe. I think in the next couple of years that entry level EV's will actually be cheaper than their ICE counterparts. The only real component that's keep the price inflated is the battery and I think we'll see those continue to decrease in price. And that's when we will really see a shift in the industry. Price is really the main barrier to entry for most consumers, as most countries have really started to step up the availability of charging stations. In fact there are already some superchargers capable of delivering +300kW, which no current EV can even take. There should be a major push for car sharing because there's only so low car makers can go. It will never be good enough for consumer these days, so thinning out cost by the min/hour/day is the way forward. Car sharing is already widely used in Europe, its just in North America where the infrastructure is a bit behind, where we haven't really seen these services take off. In some cases like Car2go in Toronto, they actually had to shutdown after changes were made to parking availability. Car2go has seen great success in the other 10 cities in which its operating. Sounds like the issues they had in Toronto were more a result of political interference. I really don't understand why governments fail to realize the importance and benefits of these platforms.